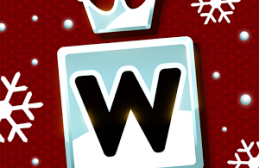 The solver of the famoust android and iphone game Wordalot USA version, this wonderful game was developed by Mag Interactive the famous developer known in puzzles games. The game has 85 packs and over 1000 Crosswords . Give your word muscles the perfect workout. Your brain will thank you for it! – Countless hours of fun! This is an addictive and challenging word puzzle. Enjoy! So you will find in this dedicated topic all the answers that you need to find to solve Wordalot USA version.